The Toronto Maple Leafs had made the playoffs once since the 2004-05 NHL lockout, and that was in a shortened season due to, you guessed it, another lockout in 2012-13. When they came back to KeyBank Center on April 3, the Leafs were in a three-way battle for second in the division with the Boston Bruins and Ottawa Senators while the Tampa Bay Lightning were climbing fast up the standings, joining the NY Islanders in the race for the second wild card spot. The Buffalo Sabres were eliminated from playoff contention on March 28 so there wasn't much to play for except pride and the opportunity to play spoiler. The matchup between Toronto and Buffalo also had some interesting plot twists as Leafs franchise center Auston Matthews and Sabres franchise center Jack Eichel would be meeting again and the brothers Nylander--William for Toronto and Alexander for Buffalo--would be squaring off on NHL ice for the first time. As I wrote prior to the game, "if you cant' get up for this one, you probably don't have a pulse." Buffalo had lost to the NY Islanders the night before on fan appreciation night at KeyBank. The generally uninspired play lead to the 4-2 defeat as the Islanders, who were without John Tavares, needed only two assists on their four goals. The highlight of the evening for the Sabres was UMASS-Lowell product C.J .Smith getting his first NHL point in his first NHL game. Smith went in 2-on-1 with Evander Kane and calmly slid a backhand to Kane who promptly buried his team-leading 27th goal of the season. With the Sabres playing their 18th back-to-back of the season, it didn't take long for Toronto to get their raucous fans going as the Leafs scored three goals in a :43 second span five minutes into the first period. Starting goalie Robin Lehner was the victim allowing those three goals on only five shots. He was pulled and Anders Nillson came in to act as a target in a shooting gallery. 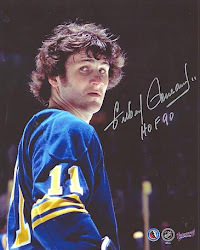 Nilsson faced 40 shots in just over 55 minutes as the Sabres dropped their third in a row in front of large contingent of Leafs fans taunting the Sabres faithful on Buffalo's home ice. It was pretty obvious that the Sabres headed for the bus against the Islanders and the Leafs and they would end up finishing the season by going 1-4. Buffalo finished the season with a 33-37-12 record good for 15th in the conference and 26th in the league which was worse than the prior season. The Leafs would make the playoffs. By one point. GM Tim Murray and head coach Dan Bylsma were both fired on April 20 after a rather tumultuous 2016-17 season. Murray had been with the club since January, 2014 and had signed a three-year contract extension in the Fall of 2017. Bylsma was fired after only two years in Buffalo with three years remaining on his contract. 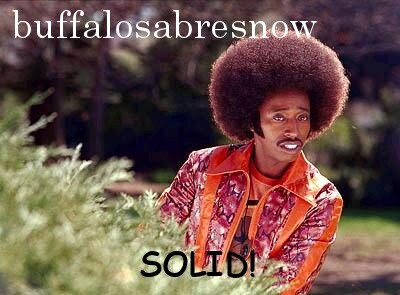 For the final Sabres team stats click here.